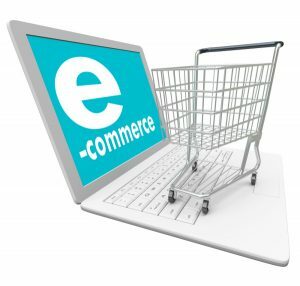 When you read the following list of advantages of e-commerce for businesses and customers, you will get the sense that e-commerce is the holy grail of retail. To see the other side of the coin, do not miss out on my article about the disadvantages of e-commerce. If you have a physical store, you are limited by the geographical area that you can service. With an e-commerce website, the whole world is your playground. Additionally, the advent of m-commerce, i.e., e-commerce on mobile devices, has dissolved every remaining limitation of geography. Physical retail is driven by branding and relationships. In addition to these two drivers, online retail is also driven by traffic from search engines. It is not unusual for customers to follow a link in search engine results, and land up on an e-commerce website that they have never heard of. This additional source of traffic can be the ​tipping point for some e-commerce businesses. Advertising and Marketing: Organic search engine traffic, pay-per-click, and social media traffic are some of the advertising channels that can be cost-effective. Personnel: The automation of checkout, billing, payments, inventory management, and other operational processes lowers the number of employees required to run an e-commerce setup. Real Estate: This one is a no-brainer. An e-commerce merchant does not need a prominent physical location. It is no longer about pushing a shopping cart to the correct aisle or scouting for the desired product. On an e-commerce website, customers can click through intuitive navigation or use a search box to immediately narrow down their product search. Some websites remember customer preferences and shopping lists to facilitate repeat purchase. It is not unusual for customers to travel long distances to reach their preferred physical store. E-commerce allows them to visit the same store virtually, with just a few mouse clicks. E-commerce facilitates comparison shopping. There are several online services that allow customers to browse multiple e-commerce merchants and find the best prices. Though there are physical equivalents to deals, bargains, coupons, and group buying, online shopping makes it much more convenient. For instance, if a customer has a deep discount coupon for turkey at one physical store and toilet paper at another, she may find it infeasible to avail of both discounts. But the customer could do that online with a few mouse-clicks. There are limitations to the amount of information that can be displayed in a physical store. It is difficult to equip employees to respond to customers who require information across product lines. Ecommerce websites can make additional information easily available to customers. Most of this information is provided by vendors and does not cost anything to create or maintain. Using the information that a customer provides in the registration form, and by placing cookies on the customer’s computer, an e-commerce merchant can access a lot of information about its customers. This, in turn, can be used to communicate relevant messages. An example: If you are searching for a certain product on Amazon.com, you will automatically be shown listings of other similar products. In addition, Amazon.com may also email you about related products. Store timings are now 24/7/365. Ecommerce websites can run all the time. From the merchant’s point of view, this increases the number of orders they receive. From the customer’s point of view, an “always open” store is more convenient. Buyers and sellers of niche products can find it difficult to locate each other in the physical world. Online, it is only a matter of the customer searching for the product in a search engine. One example could be the purchase of obsolete parts. Instead of trashing older equipment for lack of spares, today we can locate parts online with great ease.